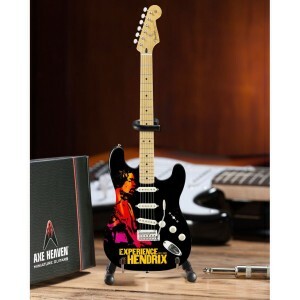 This Limited Edition Experience Hendrix - Jimi Hendrix™ Miniature Guitar includes a numbered certificate of authenticity. Only 500 available. 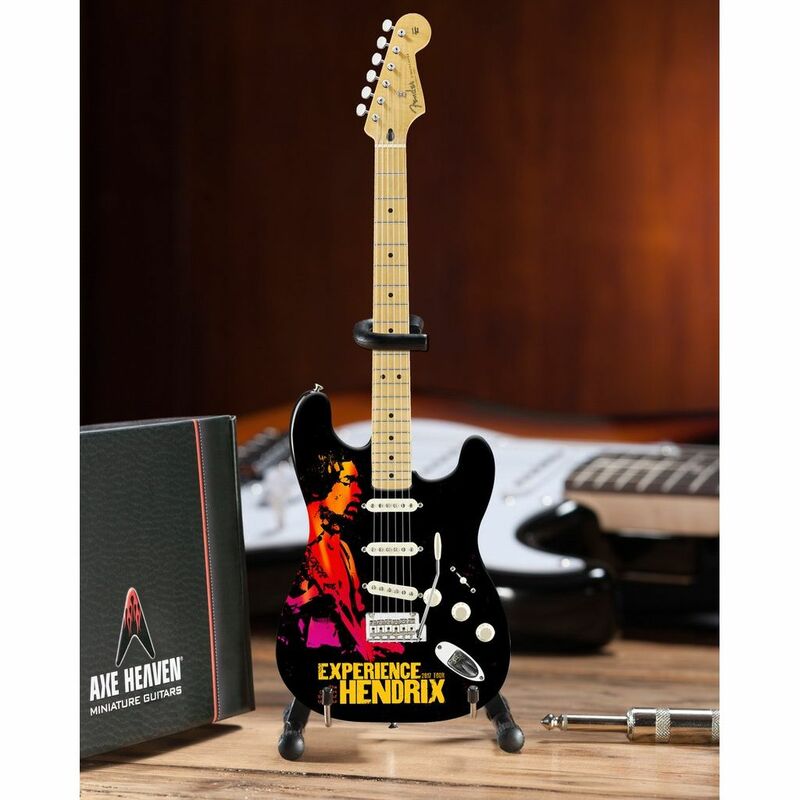 AXE HEAVEN® has created handcrafted Jimi Hendrix miniature guitars to commemorate his iconic guitars. All guitars are officially licensed by Authentic Hendrix™. Each 1:4 scale ornamental replica guitar is individually handcrafted with solid wood and metal tuning keys.